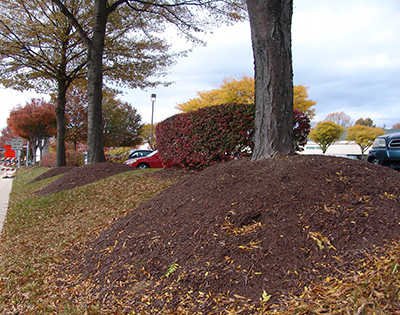 Mike McGrath, radio personality of You Bet Your Garden, has declared war on the practice of mulch mounding of trees! To support his plea to cease and desist this practice, he has interviewed several tree experts including our own curator, Andrew Bunting. Mulch mounding can be so devastating to trees that the Scott Arboretum only applies mulch on the ground around the tree. When we plant, we even pull back the ground to expose the dramatic root flare. 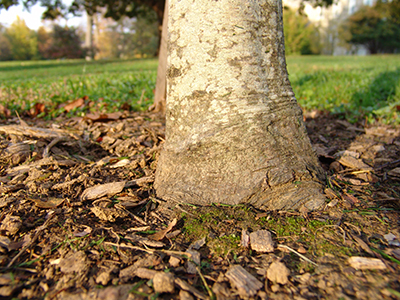 These colossal mounds of mulch retain moisture around the tree trunk, encouraging the development of adventitious root growth. These roots grow straight up through the mulch, are the first to die during a drought, and ensure that your tree is the first to die as well. 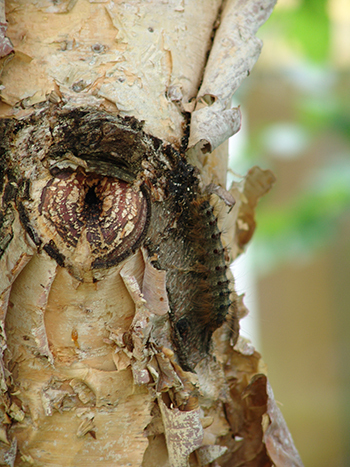 This excessive retention of moisture around the bark also weakens the tree; making it the first to succumb to pest and diseases. 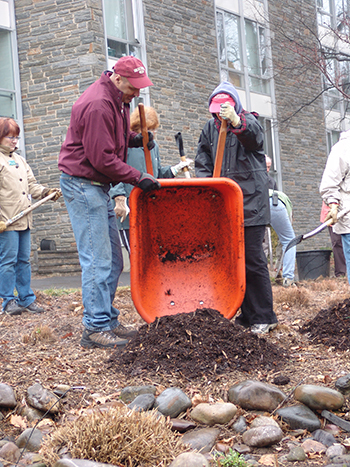 I am a Rutgers Master Gardener with a specialty in trees and the planting thereof.How hard is it to understand that the correct planting does not include building mulch volcanoes or any other kind of volcano! If only they would erupt upon being built! I am so glad to have Mike to lead the way as his voice is much stronger than mine or even the Rutgers Cooperative Extension Master Gardeners of Burlington County NJ. Nine-tenths of the hell being raised in the world is well-intentioned. I am the person with the comment above. I am a member of the Lumberton Shade Tree Committee. We are a Tree City U.S.A participant for several years and have a Beautification Project in progress involving some 150 trees to be planted…hopefully this year with the help of a generous local donating group. We wondered if we could get this article printed for presentation to folks during our Arbor Day Celebration April 23, 2016. Would you give us permission to have it printed if indeed you cannot do it for us. You are welcome to reprint the article. Please let me know if we can help in any other way.